Scientists seem to be near a cure for the common cold. You heard us right - the cold may be on the way out. 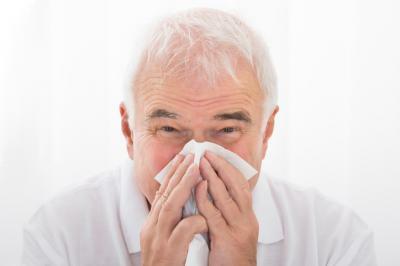 For eons, scientists have tried to get rid of this annoyance, but the issue has always been that the virus for the common cold mutates quickly so it has been difficult to target. Now, scientists are targeting the actual genes of the virus, which appear to have the same decoding mechanism in all strains. Hope is near that this discovery will lead to an effective drug in about 10Ys. Imagine never having a cold again! While bankers don't have to tinker with genes and issues, it may still seem difficult to know whether your bank is capturing all of the new businesses possible. To help, we look at a new report on 2100 surveyed startups from the Fed of New York. Lending to startup businesses can be a risky decision, but it can have its rewards. Since startups account for almost 20% of gross job creation according to academic research, they are clearly an important part of the economy. Yet, research shows 33% of new companies fail within 2Ys and 50% of them disappear within 5Ys, so bankers are notably careful here. Given the potential for new customer capture, however, this may be one reason why many community banks are willing to work with emerging entrepreneurs. The report finds loan applications for 78% of startups with low levels of credit risk are accepted by community banks compared to 76% of online lenders and only 63% of larger banks. That bodes well and should be leveraged by community banks. However, when the analysis moves to higher risk startups, things get more difficult. Here, online lenders come in first at 45%, compared to 35% at community banks and only 26% for larger banks. The fact that community banks operate deeply within their communities could be the reason they perform better than large banks even for this group. Community banks are just in a better position to understand the full depth and breadth of these customers perhaps. The data also shows there could be an area of opportunity with those businesses that did not originally apply for any financing. About 48% of the startups surveyed in the Fed's report did not apply for financing so this is a big cohort. Of this group, 27% cited being debt averse. Of that group, 72% were considered a low credit risk. This group within groups may be a good pool of prospects for you to seek out for new business. Not only do startups find it easier to get loans at community banks, but they also seem happier overall at community banks. According to the survey, 48% say they had a positive experience with community banks, 31% feel good about their experience with big banks and only 23% feel the love with online lenders. Startups found community banks had slightly more favorable interest rates and repayment terms than the big banks or online lenders as well, so these are definitely areas to keep up on. Finally, while your bank may not have the sleek application process of the online lenders or some of the conveniences of a big bank, your customer relationships give you more opportunities. Now may be the time to add innovative new businesses to your small business loan portfolio. After all, this data is nothing to sneeze about. Yields fell 3bp amid a solid 30Y bond sale, as investors continued to look for policy direction from the latest FOMC minutes. 1) Business First Bank ($1.2B, LA) will acquire MBL Bank ($323mm, LA) for about $76.1mm in cash or about 1.57x tangible book. Research by Efma and Synechron finds the most popular self-service technologies for bank and credit union branches are: education about digital channel functionality (44%), cardless cash (31%), product and service awareness (29%), customer onboarding (27%), KYC/compliance documents (27%), video chat advice (21%), customer complaints (21%), and replace cards/order new checks (21%). A survey of executives by Grant Thornton finds 17% of cyberattacks involved blackmail or extortion, 12% resulted in theft of customer data and 11% resulted in theft of other intellectual property. The Fed reports growth of corporate loans has declined from 8.1% to 2.1% since Nov 2016. Analysts say this is likely due to the realization that policy is unable to move through Washington DC. The Department of Homeland Security reports more than 67% of cybercrimes occur through phishing attempts. A Capgemini and BNP Paribas study finds by 2020 the number of digital payment transactions will hit 726B. Non-cash transactions rose 11.2% between 2014 and 2015 - the greatest increase in the past 10Ys. On the other hand, checks declined 13.4% during the same period. Despite record house prices in many regions, only 33% of all homeowners have regained their pre-recession home values. Research by Efma and Synechron finds the unique value that banks and credit unions believe humans add to branches is: an emotional connection (97%), a personalized experience (96%), a trust-based relationship (62%), a feeling of stability/security (41%) and a high touch service model (27%). Community bankers can credit stress test loans of all types from multiple perspectives and on a portfolio basis. Get professional help doing so and learn more about credit stress testing here.